The capital of the province of East Java is the second city of Indonesia. During the past hundred years Surabaya has been one of the main trading ports of the country. The city is a fast developing metropolis, though from a tourist’s point of view less interesting. 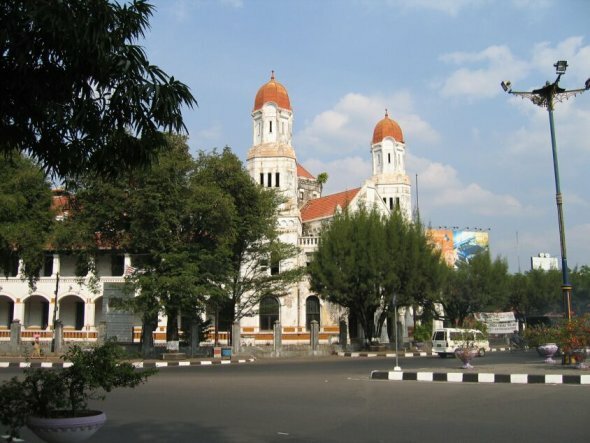 The main attraction for tourists is the old city of Surabaya with its many colonial buildings. This is also the case in Semarang. The still-active Bromo volcano is a day’s drive from Surabaya. Standing on top of this almost 2400 meter high mountain is an unforgettable experience. The Bromo crater suddenly rises up in the middle of a sea of sand ‘lautan passir’. Looking down from the top of the Bromo into the smoking crater, combined with the view over the 10 km long Tengger massif is, we would guess, like standing on the moon. Although one must get started by three o’clock in the morning and walk for an hour through the sea of sand to get the best sunrise view, it is worth your effort. During the rainy season, it is better to wait until after sunrise for climbing Bromo, which then can be cloudy at dawn. 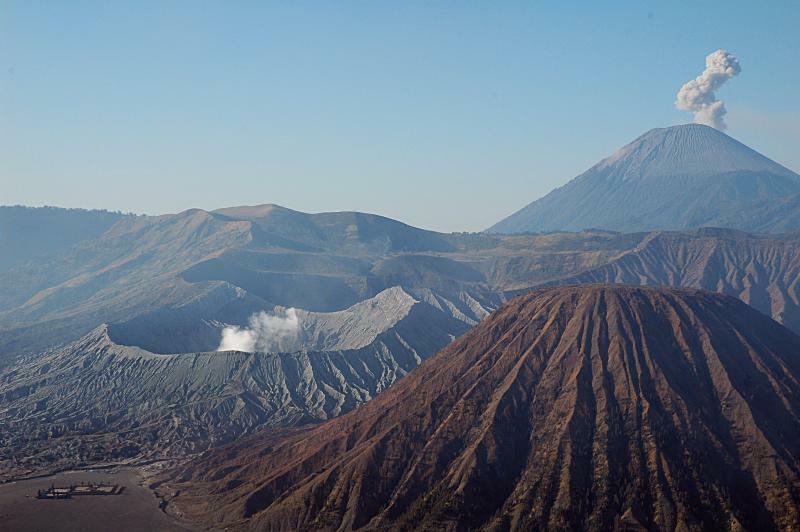 The Bromo highlands are also an important center for traditional Hindu Javanese beliefs. In the 15th century, many Hindu believers fled to the mountains for a safe haven for the upcoming Moslem rulers. What the cool mountain resort Brastagi on Sumatra is to Medan and Bogor to Jakarta, is Tretes to Surabaya: a holiday resort for those wanting to escape the hot climate of the lowlands. Tretes was already by the beginning of this century a tourist resort, offering a pleasant climate and beautiful panoramas.